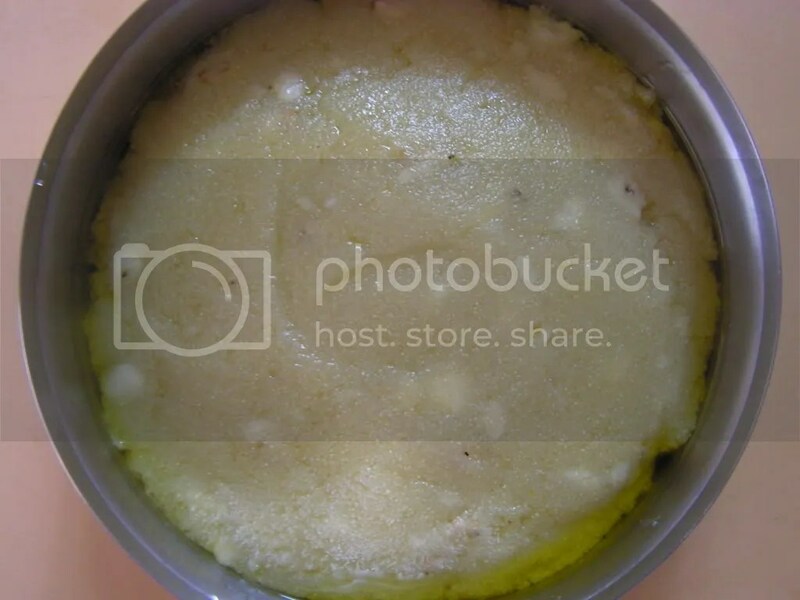 Sapatha is a sweet Semolina pudding which is prepared as prasad for Sathyanarayana puja. We at home prepare Sheera from Semolina but we donot add bananas and milk , the two special ingredients of Sapatha. A little background on the Puja itself is due. Satyanarayana Puja is a ritual performed by Hindus before/on any major occasion like marriage, house warming ceremony etc. It can also be performed on any day for any reason. The Satyanarayana Puja is unique in that it does not require a priest to perform. The Satyanarayana Puja is usually done on the Poornima day of every month (the day of the full moon). It is also done on special occasions and during times of achievements as an offering of gratitude to the Lord. These occasions include marriage, graduation, and the purchase of a new home to name a few. The puja starts by a prayer to Lord Ganesha, the elephant God and remover of all obstacles that may occur as a result of incorrectly performing the puja. This is done by chanting all the names of Lord Ganesha and offering prasad (a food offering, usually consisting of one of Lord Ganesha’s favorite foods – modak, a sugar and coconut mixture, or [lhadu]) and the showering of flower petals. Refer wickey. 1. Place a thick bottomed bowl on medium flame with the above mentioned quantity of ghee. On melting add semolina and fry it till you get a pleasant aroma as you fry for upma. 2. Meanwhile heat milk and bring it to boil. Add boiling milk slowly to the fried Semolina and stir it well in such a way that there are no lumps. Make sure that semolina is cooked well. If Semolina is not cooked some more milk can be added and cooked properly. 3. Add Banana pieces to the cooked semolina and stir it for a while on a low flame till it is cooked for about 3-5 minutes depending upon the quantity one prepares. 4. Add sugar to it and stir it well till the dish releases ghee on the side of the bowl as shown in the image below. Do not drain it and it will seep into it gradually. It should be done on a low flame only. Offer it to the almighty and distribute it as prasad to the gathering. 1. Fry semolina in ghee so that it is not raw. 2. Add warm/hot milk only so that there are no lumps. The quantity of milk depends upon the thickness of the semolina. If semolina is not cooked , the dish will turn hard. 3. Cook it on medium/low flame only. For this prasad only 5 ingredients is as per the rituals. The flavour of this dish is unique and awesome. Hence please do not add any dry fruits , Cardamom, saffron etc. This entry was posted in Uncategorized and tagged Festival food. This is the first sweet dish i have ever made in my life and it is awesome. Thanks for the recipe. I did offer this to Lord Ganesha. Thanks. This could also be a prasad for Lord Ganesh and Lakshmi as well and also for goddess Durga during Dussera!!!!!! Wow….Yummeeeeeeee..Yummmmeeeee….I don’t know if Lord Ganeshaa likes it or not, but, me, certainly, and so much that I can eat it forever…Hats off to Mrs. Pratibha ji. If you keep posting your recipes, it’s like you sending us your choicest blessings. Thanx a lot for ur comments. I also stay with my family on Manipal-Parkal main road near the water tank two buildings next to the water tank. It is a real coincidence . As there is saying that earth is round and the world is small isn’t it????????????? Very true, dear Pratibha ji, the latest technology, indeed, has made the world become so small that it doesn’t even take much time for a person to find and re-connect with his/her long lost people/relatives, who may be living in some other corner of the world and even oblivious of his existence, as well. While in Parkala, we lived very close to Bassel Mission Elementary School, where I studied until grade 7. I also attended Parkala high school, before proceeding to continue my education in Manipal Junior College. Soon after that, I left the place only to visit it like once in every 2-3 years. Visiting India, ofcourse, in the recent years, has become a privilege to me, since I have settled in a far away country and travelling long routes makes me fall sick to the stomach, owing to which, I try to avoid long journey, unless it becomes obligatory. The settlement area you have refered to as ‘near Water Tank’, is located just after Gururaj Joish’s house if we are proceeding towards MIT, am I right? Meanwhile, I must admit, I am so glad to have met you as a person from my native place, which makes me feel nostalgic, nonetheless. I immensely thank the technology for giving me an opportunity to chance upon a meet and chat with you [ although virtual], which otherwise would not have been possible for both of us even to grasp that we were born and raised very close to each other, yet not knowing eachother. How very strange is that, ain’t it? Anyway, dear Pratibha ji, I would certainly like to stay in touch with you, but only if you are comfortable about it. Then again, we may have to resort to interacting via our E-mail addresses to protect our privacy. I guess, you have my E-mail address which I had printed here along with my comments during one of my initial visits. So, do drop a line on the same whenever you have time. The land mark mentioned by you as Gururaj joish’s house is exactly right. So do mail me and lets keep in touch. Thanx a lot for ur long , instant and informative reply. Going thru the same i felt as though we are som close to each other from a loong time. Any way once again thanx a lot for your comments. I will surely mail you soon and hope to keep in touch. Bye for now. I will mail u shortly. Thank you for sharing your recipe. We had a Satyanaryan katha at our house today and I wanted to make something special for it. I looked this up and make it exactly as the recipe was written. It was very tasty! Enjoyed it alot. I do have one question. After the prasad sat for awhile, the top started turning dark. I’m guessing it was because of the bananas. Is there any way to avoid this? It doesn’t really change the taste, just the presentation. Again, thanks for such a great recipe. The guests and my family enjoyed this simple yet delicious dish immensely. The reason for turning the dish dark is unknown to me. One more question is which Banana did you use for the dish? ?I have not experienced this problem with this dish at all.So try it out with either Elaki balehannu(Puuta bale) or Rasa balehannu which we normally use in this preparation. As per ritual for Sathyanarayana vratha the quantum should be one and quarter measure of Soji, ghee, sugar,milk and water and banana. If you happen to cook 1 and 1/4 measure of sujee in equal quantity of milk it is never cooked and in turn the dish turns very hard and will be tasteless too. Actually no water should be added to the prasad if i am right. Please clarify. Infact the exact method to make sapada bhaksyam is not as given above. It’s prepared as follows. Take well riped 7 kadali bananas chop them as small as possible and fry it in 1 cup of ghee,until golden brown, then add 1 cup of wheat flour to the same , and fry until this also golden brown, then add 1 cup milk and stir it again to become brown and finally add 1 cup sugar and stirr well. 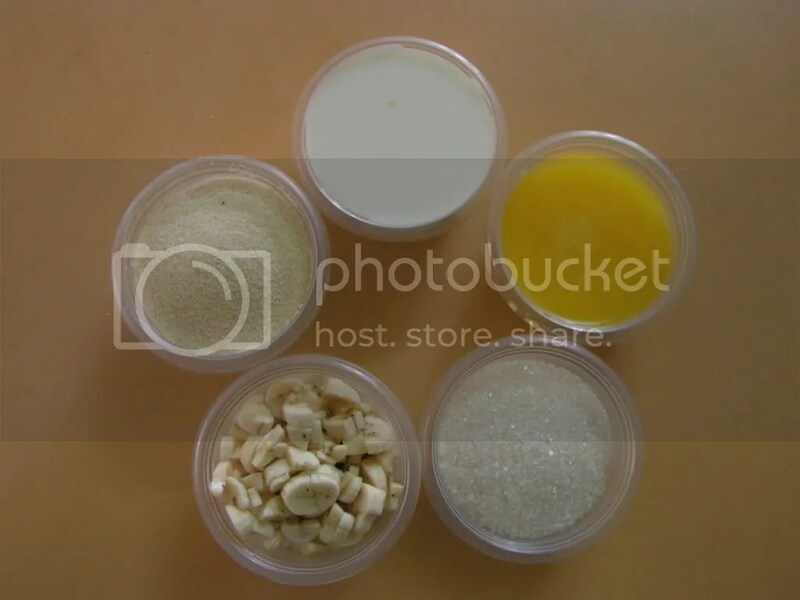 This is how prasadam is prepared. This is your way of preparing the prasad. Thanks for your comments and this method is followed by us for generations!!! Investing in a compressor that is too small is going to waste time or just flat out won’t do the job. And with this, there are also specific types of compressors for any specific use. Gas-powered unit is more portable but not appropriate in enclosed areas for it releases fumes. Hi Pratibha, I am from Bangalore. I do sathyanarayana prasadm exactly the same every year. But this year I dont know how, it got spoiled. May be because of weather but I am still worried. If you can tell if this experience happened to you also or to any other family you know, that would relive my fear. I dont know if it common or not. Please reply me. What do you mean by it got spoiled?????? Was it sticky or hard?????? It could be due to the fact that you might have added more of milk or less of ghee and could not be anything else. Please do not worry. Hey thanks for the quick reply. I did pooja on wednesday and today it got spoiled. My mom told me to keep prasada for 3 days. So I kept little prasada aside. When I checked it today it was spoiled. May be you are right, I added 250ml ghee for 5 cups of rava. Anyway your message made me relax. Thanks. Do you have coconut burfi recipe??? I want to make it coz I have lots of coconut left after pooja. Hi maam, it’s ok. I made coconut burfi myself and it came really good. I am newly married enjoying my married life. I was working before but now I am thinking of home based jobs or business. I love cooking. Cooking is my passion. I want to start my blogs n videos about cooking and beauty tips. I heard that in blogging one can earn sufficient money. I dont know anything about blogging. Could you help me with that??? Please let me know. Take care. The link for the coconut burfi from this blog is https://cuisineindia.wordpress.com/2007/11/21/coconut-burfi. You might have prepared ur version. Please do mail me the same. I tryed your sapatha for sathyanarayana.it was very very nice.I thank you so much mam. Hi I am back again. I am Swarupa from Bangalore. Mam, I started doing satyanarayana pooja every month on full poornima day from last year. Sometimes I couldn’t do this pooja due to menstrual cycle but I felt that’s normal. But to be very frank, some times I don’t feel like doing pooja whole heartedly at all. I feel lazy, unhappy and worried about my family problems and financial issues. So, my worry is can I skip pooja whenever I don’t feel like doing it?? Even though it is because of my laziness or my unhappiness?? Did the same thing happened to you?? I look forward for your answer.